recipe for crazy blog: Black Friday!! I hope you all had an awesome Thanksgiving!! Goodness knows I don't need to be eating for a week to make up for all the turkey, stuffing, potatoes and gravy I ate yesterday, but alas, I'm going to be enjoying one of my favorite breakfasts today and enjoying leftovers for lunch! Woohoo for good food! Anyway, if you came here to get a steal-of-a-deal coupon code for my shop, you came to the right place! From 6-noon, use the coupon code HAPPYFRIDAY for 30% off your entire purchase from my shop! That goes for templates too! So if you've been eying a poster, thank you card or template, now's the time to buy. This is not for custom designs, only the current designs listed in the shop. And if you follow me on instagram, @recipeforcrazy, you'll get super awesome offers at random times throughout the day! Oh, and to kick the spirit of Christmas off, I added a new print to the shop. This is another chalk art print I hand drew and converted into a print just for you. 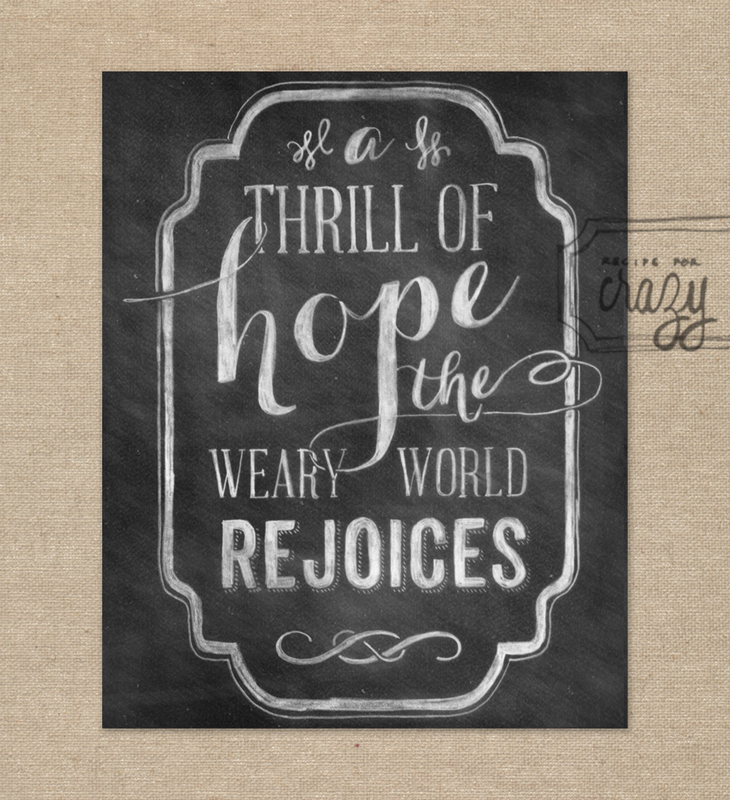 Okay, well, I really designed it for me because the verse if from my favorite Christmas song of all time. Every time I hear it, I get chills - O Holy Night. So, I turned it into a print and hope you love it and are reminded of the reason we celebrate Christmas in the first place. Christ was born! Praise Jesus!